Last week I was very fortunate to have the opportunity to listen to Dr. Carlana Lindeman, Education Program Director with the Martin Aboriginal Education Initiative. 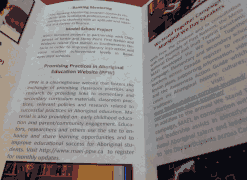 MAEI currently works on six different initiatives in Aboriginal Education in Canada. This multi-faceted, highly supported program uses a variety of teaching strategies and supports to help Aboriginal students acquire strong skills and understanding in Business Math, English, Accounting, Financial Literacy, ICT and Marketing. The textbooks for entrepreneurship courses (grades 11 and 12) have been specifically written for this audience and include strong supportive materials for classroom teachers. Students participate in a number of hands-on activities in partnership with the business community, and funding is provided so that students can start a “micro-business”. In partnership with all seven major accounting firms in Canada, young Aboriginal students, identified by their teachers, are partnered with mentors in local branches of major accounting firms, and over a number of years, they receive on-site opportunities to build their skills in this area. Mentorship programs are long-term (well into university and career-building years). and open doors that Aboriginal parents are often unable to open for their children because of their lack of connection to the industry. It bridges gaps in experience for these students and helps provide them with the innate understanding of the business that is necessary for success. This is a new program, similar to the Accounting Mentorship Program, but in partnership with ScotiaBank, and it supports Aboriginal students with an interest in the banking industry to try out and learn about various aspects of this career area. The hope is to increase the number of mentorship programs and expand the program into other career areas. 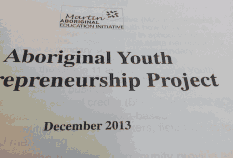 4) In partnership with MAEI, Free The Children/We Day sponsors a two-week focus on Aboriginal history. Every day, registered participants receive emailed information on Aboriginal history and resources to learn more. Aboriginal students are selected to speak at We Day events. The hope is to create a dialog for all to openly discuss Canada’s shared history. As well, Aboriginal students who have received support through MAEI, are given an opportunity to give back to society through their work with Free the Children. 5) Because gaps in literacy and numeracy are identified early, MAEI is focusing on a variety of key supports for teachers and students in elementary band schools. Teachers receive extensive support and researchers from OISE visit the school to work on key instructional and learning issues. The two model schools in the 5-year program are demonstrating key successes. 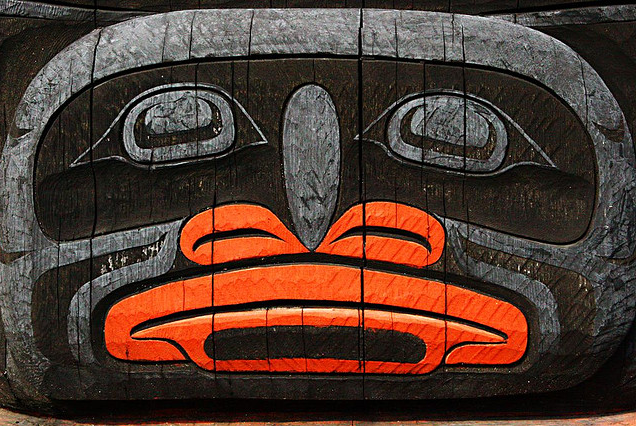 6) Promising Practices in Aboriginal Education – This website was launched in 2009 to share strategies and practices among education professionals. Educators are encouraged to register with the site to receive regular updates and information. I was very excited to hear about the new plans for MAEI. The work they are doing is supported with sufficient financial resources to ensure success, guided by Aboriginal people, and the Foundation understands the importance of 1:1 long-term support, qualitative data demonstrating success, and the cultural appropriateness of resources. I know I have much to learn from this work. I also look forward to learning what I can to do to support this successful work in creating optimum conditions for learning and success for First Nations students in Canada.